We have all heard the sermons and read the verses in the Bible that talk about how God’s saved are to become a family. When baptized, we become a member of the Lord’s church (1 Cor. 12:12-13), we become unified with Christ and with His body (Gal. 3:27), and we become a member of the eternal family of God (Gal. 3:26). If we all believe we are part of God’s family, then why don’t we treat each other like a family should? Many times, God’s family is concerned about growing numerically, but we lose focus on growing together spiritually. Through the years, I have found that one of the biggest problems in the church is that people just can’t seem to get along. We let egos, pride, and selfish ambitions get in the way of preserving the unity that we read about in the scriptures. Instead of working through problems, arguments, and hard times, we just decide it is better to go our separate ways and never speak again. I think we have lost touch with what it means to be a family of God. I think we have lost touch with what it means to get along and love each other. All over the world, God’s family is breaking apart. People are allowing their differences to tear down what God has built up. I want all of us to think about our own individual families. What makes your family so special? There are two things I have found out about people: 1) we all think we have the best family and 2) we all think that when there are problems, I’m not the reason. We make excuses and are blind to what my role could be in the problems. Now think about this church family for a moment. Are there problems? Maybe not huge ones, but no family is perfect. Could you be the root of some of the problems? Could I? I think this family is the best church family around, but to think that our church family is immune to problems would be foolish. We are headed in a fantastic direction as a church family, but the moment we think we stand, we should take heed lest we fall (1 Cor. 10:12). 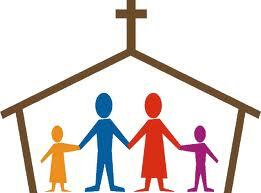 Think for a moment about your role in this church family. Are you an active family member? Are you participating in what this church is doing? Are you holding this church back? Are you allowing an attitude, resentment toward another person, or a selfish heart hold you back from giving your complete allegiance to God’s family? God’s family is made up of many different kinds of people with many different kinds of personalities. Not everyone will always get along. However, as a family of God, we must learn to love and forgive. We must learn to not just tolerate, but appreciate the relationships we have here. We must self-evaluate the role I am playing in the makeup of God’s family. We must all strive to do better and work harder. Only then will this family truly learn to grow together spiritually and not leave a soul behind.